Interested in Yoga, but confused where to start? 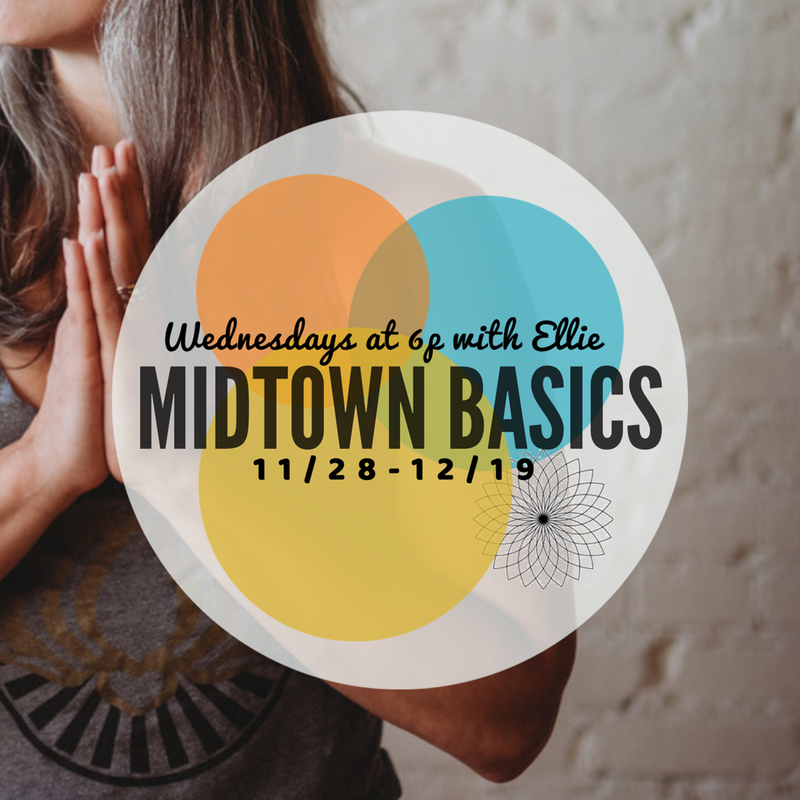 Join owner, teacher and student, Ellie, in this 4 week series designed to give you the foundations you will need to get your yoga practice started. You’ll leave the series armed with knowledge and experience in basic postures (asanas), linking breath per movement (vinyasa), and using props to make safe modifications for your body. This semi-private group setting allows for plenty of individual attention and opportunity to ask questions. We’ll go over the different styles and sequencing of practices we offer here at Midtown, so that you can feel comfortable and confident choosing a yoga class that works for you. 4 Wednesdays: 11/28, 12/5, 12/12, & 12/19. 6-7:15pm. $88 commitment. Space is limited to 6 students.